I was fully prepared to run today and had no trouble getting out the door this morning. I'm back to my weekday routine, energized and motivated. I knew it was cold outside (19 degrees) and wore three layers but the chilly air was still somewhat of a surprise. As I ran up the road that borders my neighborhood to the east it occurred to be that we're about two weeks away from the Vernal Equinox. It sure didn't feel like spring at that moment. I was originally planning to run midday with JQ but his schedule didn't work so that's why I decided to go out this morning. 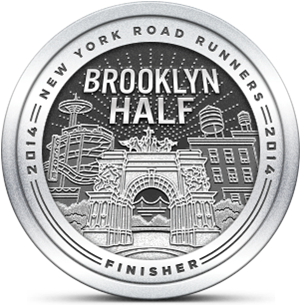 I ran well, my stride felt efficient and my form was good. My pace seemed faster than my usual morning tempo but my Garmin said otherwise -- mid 9:00. That pace seems to work for me over longer distances and I thought today about the half marathon. 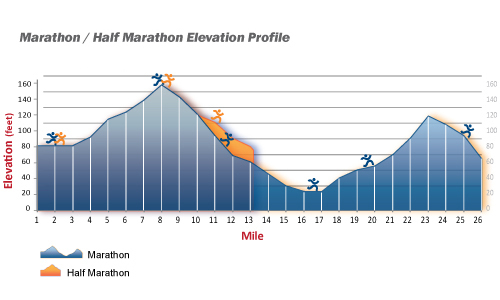 I've decided that despite its un-scenic course I'm going to run the RXR LI Half Marathon on May 1st. In terms of logistics and the opportunity to run with people I know it makes the best sense. 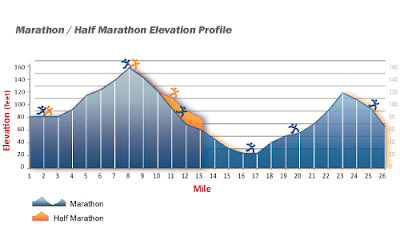 So no mountain climbs, river views, ocean side paths or greenery (although the course does wend past Eisenhower Park) but it's still 13.1 miles with a finish line.